So many of you have probably seen that RHEL 7.2 is out today. There are many important updates in this release, some of them detailed in the official RHEL 7.2 press release. One thing however which you would only discover if you start digging into the 7.2 update is that its the first time in RHEL history that we are doing a full scale desktop update in a point release. We shipped RHEL 7.0 with GNOME 3.8 and in RHEL 7.2 we are updating it to GNOME 3.14. This brings in a lot of new major features into RHEL, like the work we did on improved HiDPI support, improved touch and gesture support, it brings GNOME Software to RHEL, the improved system status area and so on. We plan on updating the desktop further in later RHEL 7.x point releases. This change of policy is of course important to the many RHEL Workstation customers we have, but I also hope it will make RHEL Workstation and also the CentOS Workstation more attractive options to those in the community who have been looking for a LTS version of Fedora. This policy change gives you the rock solid foundation of RHEL and the RHEL kernel and combines it with a very well tested yet fairly new desktop release. So if you feel Fedora is moving to quickly, yet have felt that RHEL on the other hand has been moving to slowly, we hope that with this change to RHEL we have found a sweet compromise. We will of course also keep doing regular applications updates in RHEL 7.x, just like we started with in RHEL 6.x. Giving you up to date versions of things like LibreOffice, Firefox, Thunderbird and more. 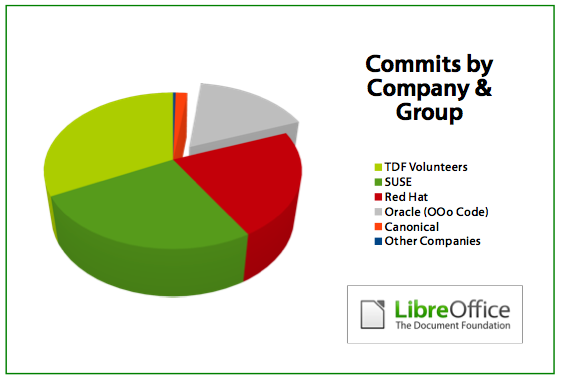 Another major piece of engineering that I have covered that we did for Fedora Workstation 23 is the GTK3 port of LibreOffice. Those of you who follow Caolán McNamaras blog are probably aware of the details. The motivation for the port wasn’t improved look and feel integration, there was easier ways to achieve that, but to help us have LibreOffice deal well with a range of new technologies we are supporting in Fedora Workstation namely: Touch support, Wayland support and HiDPI. That ongoing work is now available in Fedora Workstation 23 if you install the ‘libreoffice-gtk3’ package. You have to install this using a terminal and dnf as this is a early adopter technology, but we would love as many as possible for you to try and report any issues you have either to the upstream LibreOffice bugzilla or the Fedora bugzilla against the LibreOffice component. Testing of how it works under X and how it works under Wayland are both more than welcome. Be aware that it is ‘tech preview’ technology so you might want to remove the libreoffice-gtk3 package again if you find that it hinders your effective use of LibreOffice. For instance there is a quite bad titlebar bug you would exprience under Wayland that we hope to fix with an update. If you specifically want to test out the touch support there are two features implemented so far, both in Impress. One is to allow you to switch slides in Impress by a swiping gesture and the second is long press, you can bring up the impress slide context menu with it and switch to e.g. drawing mode. We would love feedback on what gestures you would like to see supported in various LibreOffice applications, so don’t be shy about filing enhancement bug reports with your suggestions. HiDPI it wasn’t a primary focus of the porting effort it has to be said, but we do expect that it should also make improving the HiDPI support in LibreOffice further easier. Another nice little bonus of the port is that the GTK Inspector can now be used with LibreOffice. A big thanks to Caolán for this work. We sometimes grumble a bit about Google in the community when they do things we feel are not generally helpful to the overall community. But I think we should be equally good at saying thanks when Google do great things. So thanks to our LibreOffice superstar Caolán McNamara I was made aware that Google has released two new open fonts along with Chrome. So what is so exciting about a new font you say? Well one of them, called Carlito, is metrically compatible with the current MS default font called Calibri. You can get the font here. It is licensed under the OFL 1.1. So for those wondering what metrically compatible means, I for sure did when I first heard the term, it basically mean that while the individual glyphs in the font doesn’t look like the Calibri font (that would not be legal), each individual letter has the same height and width as their Calibri counterpart. This means that if you import a document using Calibri into LibreOffice and you don’t have Calibri or a metrically compatible font installed, your document layout would change as the font LibreOffice would need to use instead have letters that might in general be slightly wider for instance. So with Carlito installed this will no longer be a problem, the glyphs might look a bit different, but you can be sure that the overall layout stays the same. So thank you Google, this is much appreciated! Brno GUADEC Call for Papers! I would like to give everyone a friendly reminder that Saturday the 27th of April is the official deadline for the GUADEC 2013 Call for Papers. So make sure to get your proposal submitted. We hope to have a wide range of talks this year, including talks on related subjects such as Wayland and Multimedia, so don’t automatically assume that you will not get a talk approved because its not ‘pure GNOME’. GUADEC this year will be in Brno in the Czech Republic, so I hope to see as many of you as possible here. So I assume most of you have read Jonathan Blanfords blog post about leaving Red Hat and me taking over for him as head of the Red Hat desktop team. First of all I would like to thank Jonathan for both his contributions to GNOME and Red Hat, but also for being a good friend for over a decade now. Luckily Linux is also a major piece of his new job, so I am certain we have not seen the last of Jonathan in the community. For the outside observer I wouldn’t expect any immediate visible changes to happen as part of this transition. My job is to follow up on the many great initiatives that Jonathan started here together with the rest of the team. One major piece I will be tackling is making sure we in the Red Hat desktop team work even closer with the Fedora community to bring forth some great improvements to Fedora and created an even more integrated and seamless experience for those wanting to use the Fedora desktop. This ranges from working with the Fedora team on a new software installer to working on getting Wayland ready for deployment in Fedora. Apart from that we will of course continue to work with the GNOME community on pushing GNOME 3 forward. I strongly recommend following Matthias Clasens blog to get the latest and greatest news on our efforts around GNOME 3. 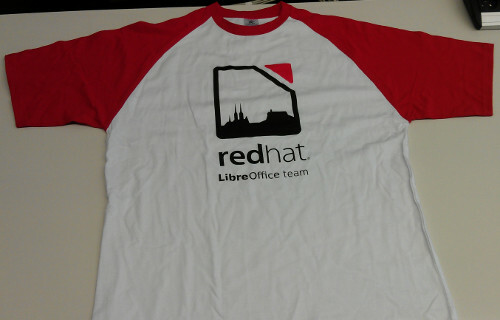 I hope to post to my blog more frequently going forward to highlight exciting developments the many great projects the Red Hat Desktop team contribute to, like GNOME, LibreOffice, Firefox, Spice, Evolution, X Window/Wayland and more.